You'll never need to take your bottle to a shop again with the Daystate air compressor. This compressor will work directly from a 240v UK mains and is compact meaning it wont take up to much space around your home. The Compressor is designed with a blow off valve as well as a high pressure hose. You can also get an adaptor that allows you to fit a hose or gauge assemble to directly fill your bottle. This Powerful piece of machinery can top-up a 10 litre bottle in 5-10 minutes. 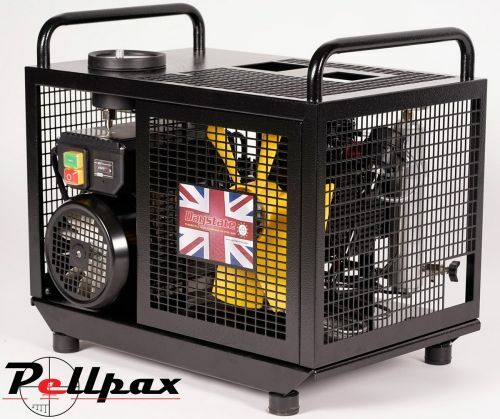 The compressor's working pressure is around 300BAR (4.300psi) and weighs around 40KG.